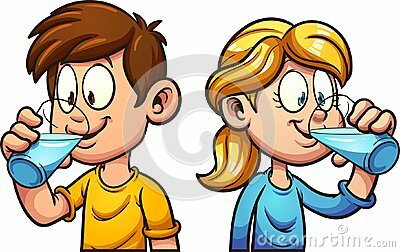 Cute cartoon boy and girl drinking water. Vector clip art illustration with simple gradients. Each on a separate layer. Man and woman drink enough water in health concept. Young man wear private dress drink water. Girl Drinking Milk For Health. Milk Makes Her Taller. Girl Measuring Height With Woman.